Size of this preview: 398 × 600 pixels. Other resolutions: 159 × 240 pixels | 318 × 480 pixels | 1,019 × 1,536 pixels. 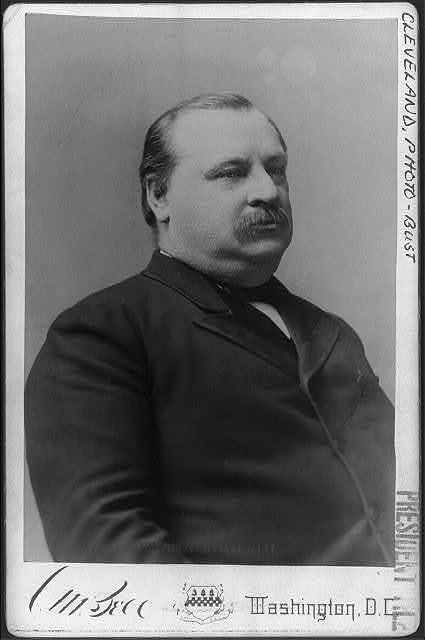 English: Title: Grover Cleveland, Pres. U.S. Abstract/medium: 1 photographic print. under the digital ID cph.3b14067. Photo copyrighted by C.M. Bell.